The dog days of summer are officially behind us and cooler weather is moving in. The leaves are changing, sweaters are being pulled out of storage, and our dogs are more eager than ever to get outside and play! For many pet parents, fall is the most wonderful time of the year – perfect for heading outdoors and enjoying life with dogs. But, autumn brings with it some hidden dangers, potential problems, and a few sources of stress for our four-legged family. 1. Shorter Days and Longer Nights! In the shorter days and longer nights of autumn, it’s not uncommon for many dogs to get their daily walks after the sun’s already set. Though relaxing, nighttime walks introduce a whole set of dangers not present in the daylight. With reduced visibility, it’s more important than ever to be diligent in monitoring your dog closely to be sure he hasn’t found a potentially dangerous “roadside snack” to nibble on. Stay safe at night by carrying a flashlight along during walks. It’s also important that your dog be visible to other people, animals, and oncoming cars when outside after dark. Consider using a reflective collar, an LED collar light, or a safety vest whenever you’re outdoors at night. 2. There’s a Fungus Among Us! This time of year, fallen leaves piled beneath trees or raked into cool, damp piles create the perfect environment for wild mushrooms to grow. While not all species of the fungi are toxic, it’s very difficult to identify and distinguish those that are. 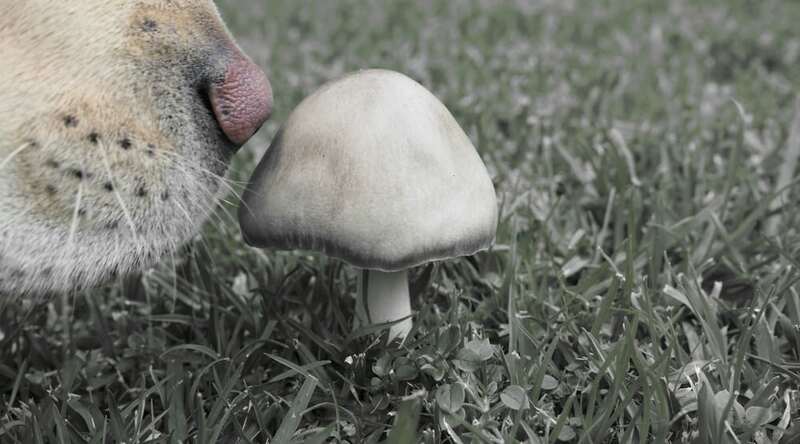 As a rule of thumb, keep your dogs away from any and all wildly growing mushrooms. And, take a moment each day, before letting your dog outside into the backyard or before heading out for your walk, to check your yard for wild mushrooms and remove and dispose of them. Mushrooms can sprout up overnight, so it’s important to check daily. While you’re checking, pick up any fallen fruits, especially apples, plum, or apricots which contain toxic seeds, and any tree nuts that may have fallen to the ground. 3. Fleas Reach Their Peak in the Fall! Many pet parents mistakenly believe that fleas begin to die off as cooler weather approaches. Truth is, fall is actually the peak season for fleas! Only sustained cold (temperatures consistently reaching in the 30’s or lower) will kill off fleas. Because dog owners tend to back off or reduce their flea prevention this time of year while at the same time spending more time outdoors, flea infestations (and the itchy skin and allergies they bring with them) are more common in the fall than in the spring or summer. Don’t forget to continue using a flea preventative throughout the fall season to keep these bloodsucking pests at bay. 4. Sweater Weather Means Mothballs! Don’t you just love sweater weather? 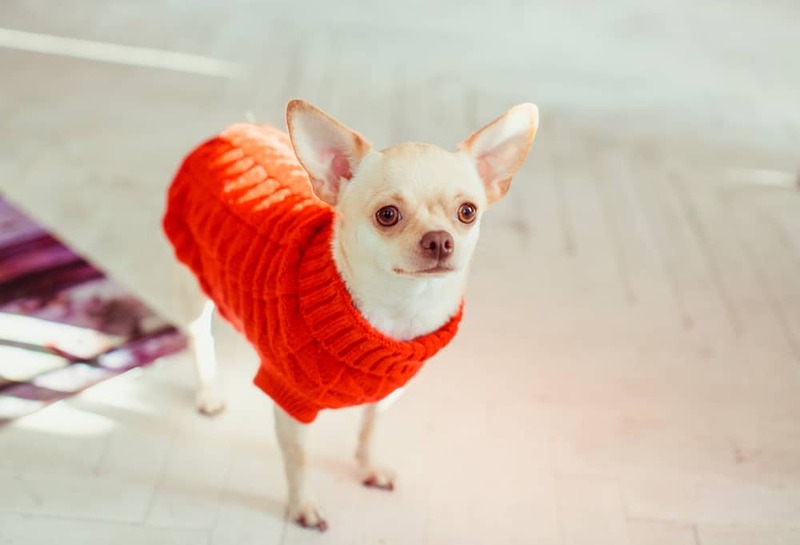 Just be sure to take extra precautions when unpacking your cold weather clothes, making sure mothballs are properly stored and safely out of the reach of pets. Mothballs contain a high concentration of the insecticides napthalene, paradichlorobenzebe (PDB), or camphor – all of which are toxic to dogs. If ingested, mothballs can cause anemia, vomiting, lethargy, and liver or kidney damage. They also pose a choking or intestinal blockage hazard if swallowed or chewed. Because even a single mothball can be deadly, pet parents may want to consider alternatives to keep moths away, cedar balls, chips, or blocks can be used in place of mothballs in drawers, or a simple sachet of lavender not only smells lovely, but repels the fiber-snacking pests naturally. 5. Keep Away From Antifreeze! It only takes a few innocent licks of that sweet smelling goo on the neighbor’s driveway to kill a small to medium sized dog. Be very, very careful when walking your dog to be certain he stays well out of reach of antifreeze. And, prevent him from drinking from puddles or streams where antifreeze may have runoff. 6. A Cornucopia of Dangerous Fall Foods! One of our favorite things about fall and the upcoming holidays is the cornucopia of tasty sweets and treats so common this time of year. 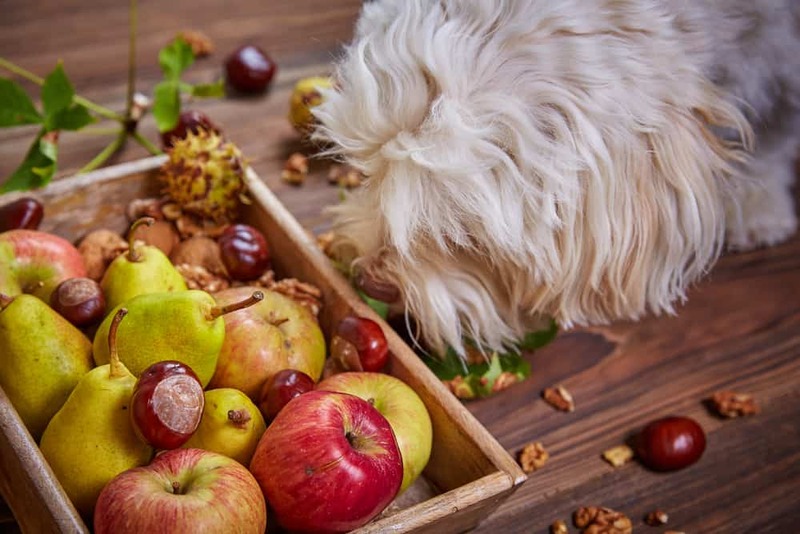 Unfortunately, many of the foods we enjoy in autumn are dangerous for our dogs. Everyone (hopefully) knows to avoid chocolate, onions, and sugar-free sweets, but some lesser known foods can be equally – or more – dangerous. Steer clear of grapes and raisins which contain an unknown toxin that can lead to kidney failure. Avoid high-fat foods, like turkey skin and dark meat, ham, and gravy, which can lead to a painful and lifelong condition known as pancreatitis. 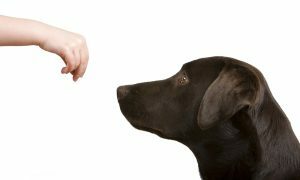 The day after Thanksgiving is the busiest day of the year for veterinarians diagnosing pancreatitis in dogs. Though some nuts are safe, it’s best to avoid them all in favor of foods more species appropriate for your dog. 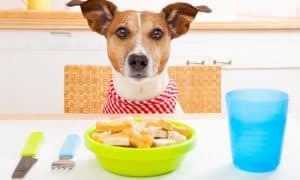 Though it can be hard to resist those puppy dog eyes begging for a bite of your holiday meal, do your dog a favor and offer them a special dog-safe treat instead. 7. Ragweed, Pollen, and Mold – Oh My! The same seasonal allergies that bother many people can also affect our dogs. 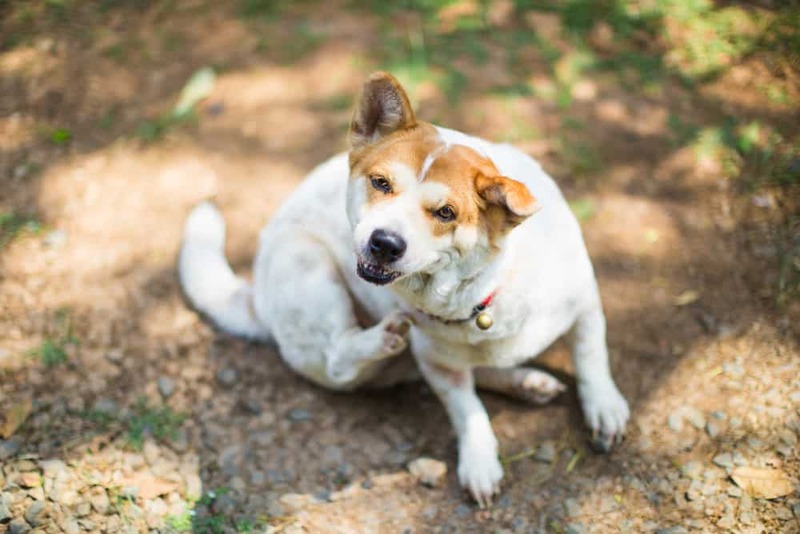 Ragweed, pollen, mold, dust, and grasses can all lead to itching, scratching, rubbing, watery eyes, runny noses, and ear infections in our furriest family members. When dealing with seasonal allergies, a good offense is the best defense! 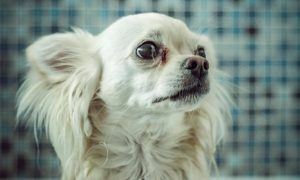 Regular baths with a gentle dog shampoo can both rinse away allergens and soothe itchy skin. Keeping paws clean, either by wiping them every time your dog comes inside or with a paw washing station at the backdoor, can prevent allergens from being tracked around the house and onto bedding. 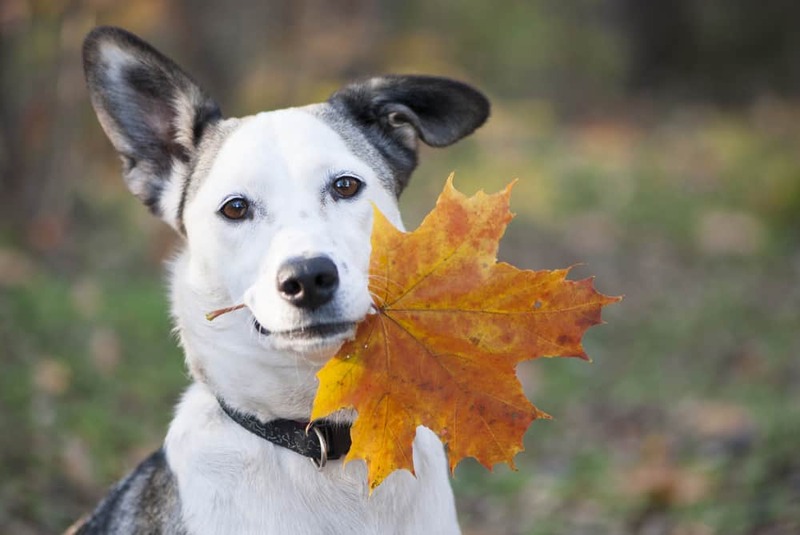 Now that you know what to watch for and are prepared for these surprising autumn dangers, you’re ready to enjoy the beautiful weather with your dog by your side!